I am a mom first to two beautiful boys. I chose to review this book for my 3 year old. My son and me really enjoyed this book. It is still a bit old for him but he liked the pictures and finding items I would ask him to look for in the page. I really liked the concept of this book. I thought it was very sweet of the bee to try to get water over long distances for his friend the sunflower even though they were “different” and bees don’t help flowers. I also enjoyed the end, where the bee went through many trials but was still able to help. Its a sweet story about being willing to help a friend no matter what. If you have little ones I highly recommend this book! J.W. 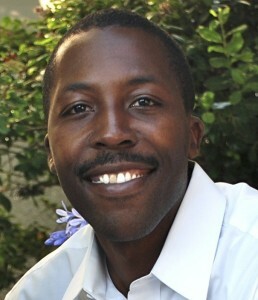 Edwards III was born in St. Louis, Missouri and spent the majority of his childhood there. Eventually he left St. Louis for engineering school and job opportunities. He has traveled across most the U.S. in search of a place to call home. He currently resides in northern California with his wife and three boys and works full-time as a software engineer while writing stories for his youngest son in his spare time. J.W. 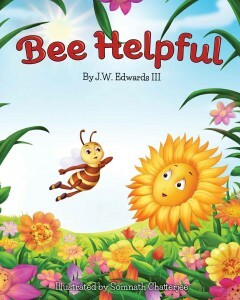 Edwards is busy these days working on a variety of writing projects which includes the Sunny Bee Book Series. 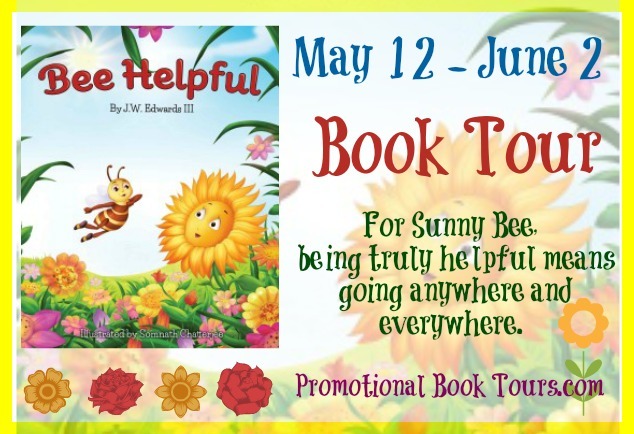 Book number three, Bee Helpful, was the first one to be published. Books 1, 2, and 4 will follow soon in 2014. Learn more about this series at www.sunnybeebooks.com.